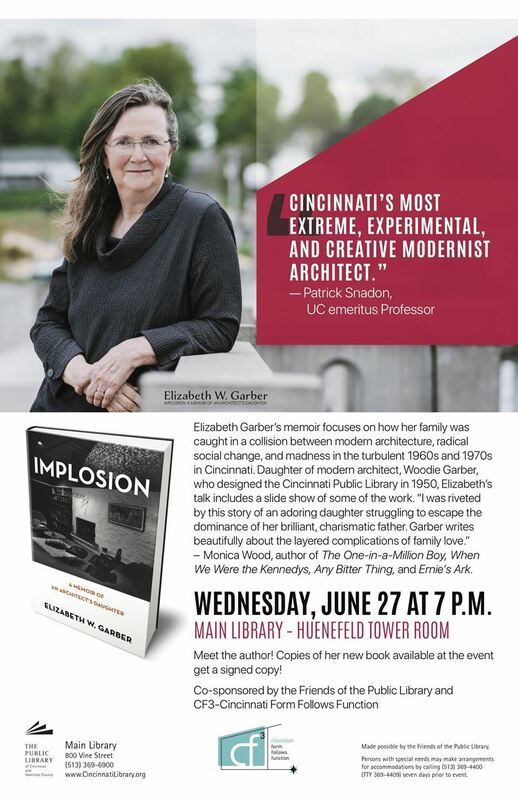 Elizabeth Garber, daughter of renowned local Cincinnati modern architect Woodie Garber, will be in town to discuss her new book, Implosion: A Memoir of an Architect's Daughter. 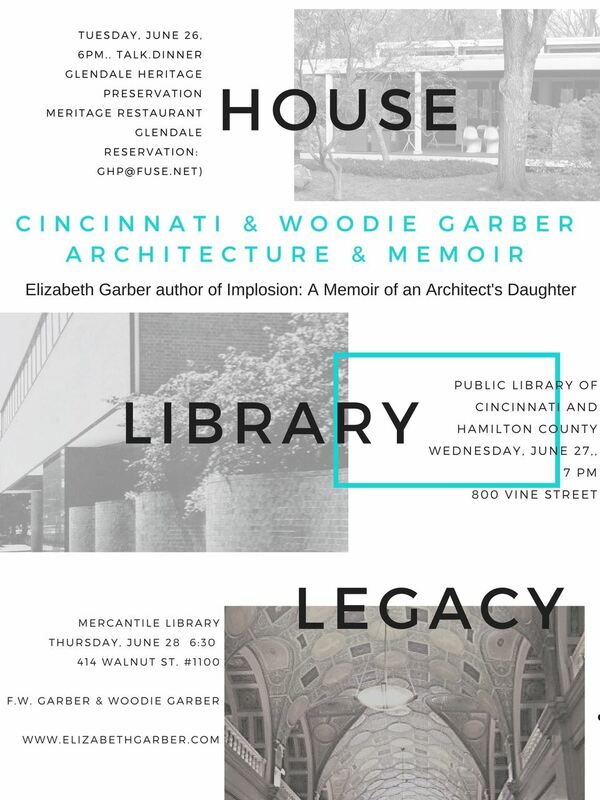 There are events spanning three days, including a talk at the Main Branch of the Cincinnati Public Library (designed by her father in 1950). 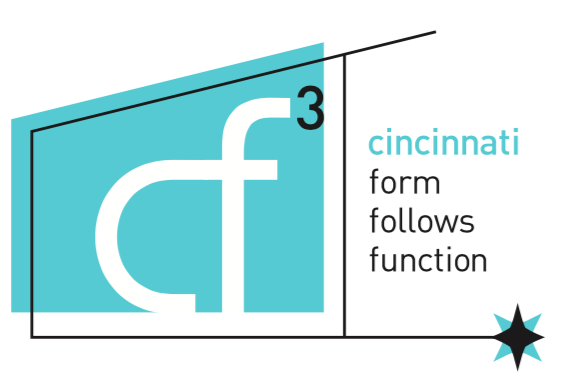 cf3 members are invited to attend an exclusive pre-talk reception at the library with Elizabeth as the guest of honor. The reception will be held outside on the 3rd floor terrace (next to the Bertoia sculpture that her father had commissioned) from 6-7, and light refreshments will be served. The reception will be immediately followed by Elizabeth's talk held in the 3rd Floor Event Space. RSVP for the reception via this email. This special event, which is open to the public, begins at 6 p.m. on June 26. The admission charge of $25 per person includes a buffet dinner at Meritage Restaurant on the Glendale Village Square. Space is limited. Reservations are required by June 23, and can be made by calling 513-771-8722 or by email GHP@fuse.net.